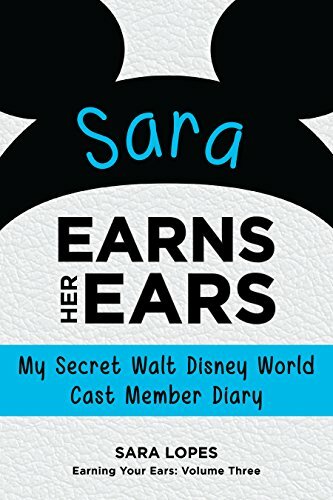 The Disney Den: I'm a Cast Member Again! Last weekend one of my dreams came true: I am officially a cast member for the Disneyland Resort. 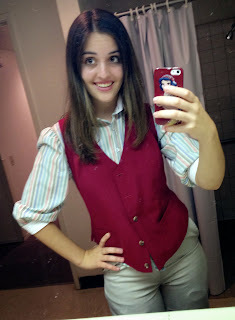 I had mentioned previously that I had gotten a job in attractions for Disney California Adventure, but I actually had to wait an entire month before I was officially re-joining the Disney family, as well as know which attraction I would be working. Saturday I had Traditions. Honestly...I actually enjoyed the way Disneyland did Traditions more than Walt Disney World. It's really small and nit-picky reasons, but overall they were pretty similar. (I was also hyped up on coffee since my class was at eight in the morning, which probably helped my attention span this time around.) At the end of Traditions I was extremely excited to get my ID and head to the parks to meet my friends Jesi and Jeffrey, who already had jobs as Photopass photography cast members. However, once I walked over to get my items, it turns out I was one of very few people who wasn't getting an ID that day...which meant I couldn't go in the parks. I was really disappointed, and felt bad to cancel my plans with my friends, but my roommate made tacos that night and the park was really crowded so I guess everything worked out just fine! The next day was my Our California Story class. All cast members who are going to be working in California Adventure need to take this class to learn all about the heritage of the park. This was actually the first time I had visited the park in over two years, before the addition of Buena Vista Street and Cars Land. I really grew to appreciate the park and it's story after this class! The third and final day of my orientation series was Welcome to Park Operations, where I learned all about the different roles that contribute to park operations! I enjoyed this class. It was definitely more fun and interesting than my Food and Beverage class (food safety is just so....awesome...). It's also probably because I've always been fascinated with theme parks, especially Disneyland. Learning more about the different areas and roles that contribute to park operations was really interesting. My guest control/World of Color costume! At the end of this class I finally was able to see my training schedule, as well as my location! They had placed my in the Disney Animation building, which includes Turtle Talk with Crush and other really cool rooms and activities. I was really excited to get started at this location, but by the time my first day of on the job training started on Wednesday, I discovered that Animation is going under refurbishment soon, so casting is going to need to switch me in a different location. This postponed my training for about a week, but I'm still going to stay in Hollywood Land/Condor Flats area. I haven't been told where I'm going to be yet, but I do still have a guest control shift at World of Color on Wednesday which I'm excited for! I own Theme Park Press (themeparkpress dot com), specializing in Disney books. I like your blog! And wonder if you'd be interested in contributing to an upcoming book project. Contact me through the website for details, or directly to bob at themeparkpress dot com. Thanks! Thank you so much! I sent you an email! First, your safety food training and then this – you definitely had a very productive 2013. You’ve been busy but at least you did what you love. I hope things will be the same for this year. Enjoy!